HE IS HAPPY. Yes! That is exactly why I named my blog "Dmitry Laughs", because autism is many things: weird, inscrutable, sometimes frustrating, occasionally expensive. But it is NOT misery. And I am so sick of THE DIAGNOSIS being a "death sentence" as you say. Part of the reason I think that so many parents have reacted with sickness and fear is because of the fearmongering AS has been peddling for years, what with comparing it to diabetes, childhood AIDS, SUICIDE for crissakes, even saying YOUR MARRIAGE WON'T SURVIVE. Getting real old, round here. in all the commotion I missed this today. Well said! 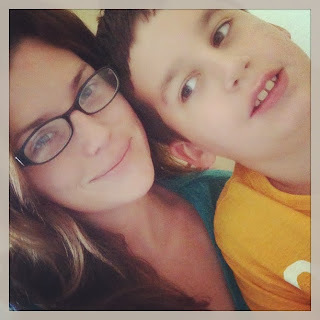 Autism Speaks no longer speaks for this family either! Well said! Autism Speaks doesn't speak for me, either.